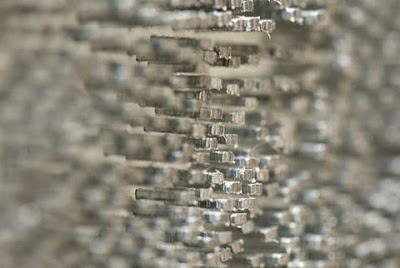 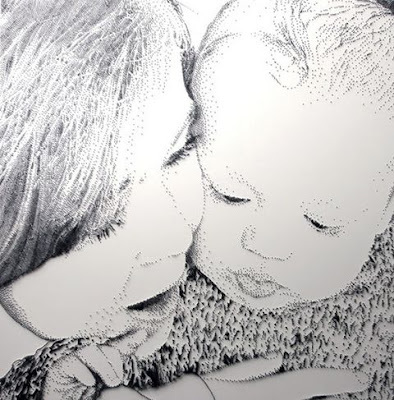 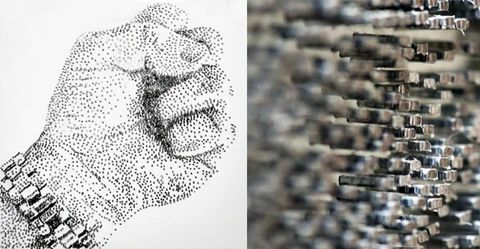 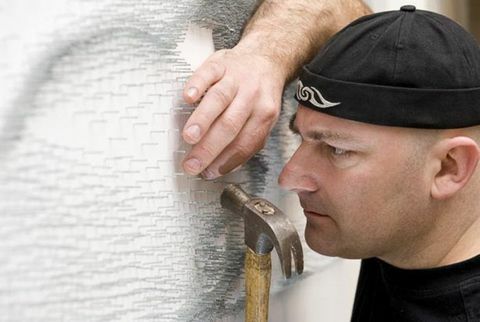 The sculptural works of british artist Marcus Levine enact a physical pointillism, each composed of thousands of nails hammered into wood panels. 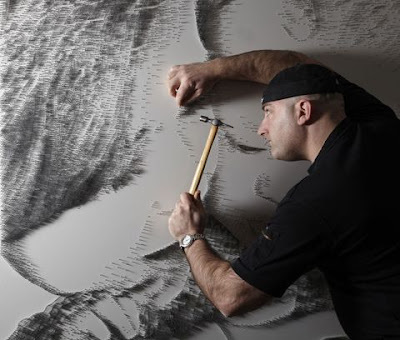 All works are completed freehand without any sketches or tracing onto the boards. 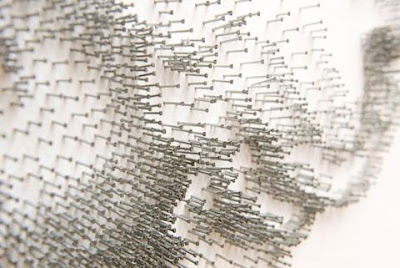 The number of nails used will vary from 15,000 to his largest sculpture with 52,000.